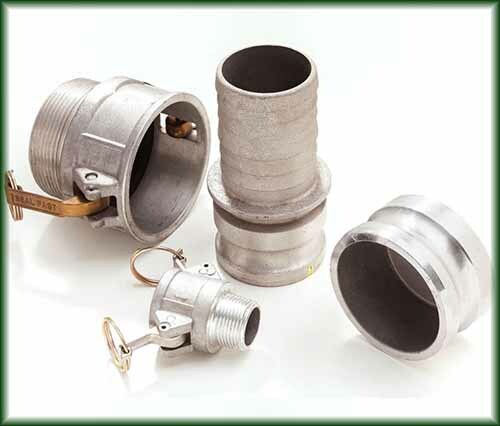 Cam & Groove Couplings in Texas | Steel Supply, L.P.
Cam and Groove couplings are a type of quick disconnect used in many industries for hose connections. Capable of carrying liquids, powders and granules, they are interchangeable with other Cam and Groove couplings made to the same standard (A-A-59326A), ensuring compatibility regardless of the manufacturer. They are also known as Cam Lock Fittings. Also available in Stainless Steel. Please call 1-866-991-7600 to inquire.